Everyone wants to grow up to be the hero in their story. Some want to save the world, while others want to conquer it. Liberals, by definition, is everyone who has not yet learned what it takes to walk the walk, but they believe they can run before they learn to walk. Athletics is the domain of the young, but responsibility is the domain of the old. Young people want to graduate from school and be stars, but that flash in the pan is short-lived. What liberals envy is the old who spend decades becoming successful. In their greed liberals want what those who walked the walk have become. They see Cpt. Chesley “Sully” Sullenberger save a plane, but they don’t see the forty years of experience that led him to that moment. They see CEOs who earn ten times more than they did as athletes and then curse them as getting something for nothing. They see nothing when they look at the average citizen who works hard all their lives living the American Dream, caring for their family, worshipping God without the government oppressing them. What is nothing are entertainers being paid a thousand times more than those who are responsible for protecting others at great personal sacrifice. What is nothing are high school drop outs and criminals voting for Democrats to steal from the rich to give them welfare so they can live without working for what they receive and then they want more. Liberalism is born of ignorance and bred on immorality, and this is not to be confused with the Classical Liberalism of the Founders, but is the progressive social liberalism of today’s American Left. They talk the talk, but despite a century of history proving otherwise they believe they know better than their elders, Christians, and American patriots. They think that they can make socialism work for the benefit of all rather than just for the elitist few. Their “progressive” ideology is actually regression to the days of nobles and peasants. Where do our young go wrong being told fairy tales without being taught morality so that, after being raised with hero tales and princess dreams, when they meet with the reality of becoming adults? When kids watch television shows, for example like all the detective shows that are on, they see the brilliant people solving heinous crimes and always putting the perpetrator behind bars. What they don’t see is the reality. They don’t see the years of education, of training, of walking a beat and rising through the ranks to become a detective. What they don’t see is the hundreds of boring, daily cases with which they have to deal before they get to the “good stuff.” And they don’t see that most of the time the “good stuff” not only doesn’t come along very often, but that half of the time they can’t begin to solve it, and when they do find the perps half of them are not prosecuted for lack of evidence, and half of those who are beat the rap anyway. Police work is frustrating because the laws that are supposed to protect victims are being used to protect the criminals. Nothing epitomizes the folly of American’s than those who vote for Democrats, especially the election of Barack Hussein Obama to the presidency. Making Obama President of the United States was the equivalent of making a private the General of the Army. Leftists threw Hillary overboard eight years ago because they found a “clean, articulate black man” who could read a teleprompter well. People voted for him because of his glittery campaign slogans and not for any accomplishment of his or any policies he promoted. What they got was the opposite of what they wanted – a slew of empty promises and broken dreams. What they got was a president who is charged with being responsible for upholding the law choosing to violate the law in every possible way. What they got was an America hating racist who chooses to advocate for criminals, for foreigners, and for the religion of oppression and intolerance whose laws are hate and murder – Muhammad’s Islam Sharia. What they got is a lie. When America was established people personally knew the people they elected as their representatives. Now people are lucky if they even know for whom they are voting. Worse still, giving power to Democrats who say they care about the little guy with the promise to steal from the rich is as immoral as robbing stores and mugging people. Instead of benefiting the little guy, it’s the little guy who suffers as jobs dry up and government gets the money. They are then told that they should blame rich Republicans, not rich Democrats. They are like chickens voting for Col. Sanders and blaming the server who packs the box. Barack Obama – spent eight years choking the American economy, reducing the military, and empowering foreign enemies while inviting them into the homeland to give them citizen’s rights. Joe Biden – promotes the scams that illegal aliens are beneficial and that the United States is causing global warming through carbon emissions. Nancy Pelosi – who is so stupid that she actually said unemployment benefits are a better boon to the economy than people having jobs. Harry Reid – constantly runs in front of the cameras to declare lies such as Mitt Romney and Donald Trump never paid their taxes. Hillary Clinton – who foundation is a foreign diplomat money laundering operation and hid the fact by destroying state department emails. John Kerry – who parrots the Obama meme that Islam is a peaceful religion and that jihadis are radicals made murderous by global warming. Elizabeth Warren – is a woman who is so stupid that she doesn’t know where people get money with which to pay their taxes. Bernie Sanders – made a faux campaign to stop Hillary by promoting communism only to throw in with her to promote her Wall Street banker corruption. John Boehner – the Republican who makes the list for seizing the Speakership on the back of the TEA Party Revolution and taking sides with Obama to stop American patriots from halting the liberal agenda. Democrats are promoting everything that is making America worse. They raise taxes to the point they are stealing so much money from companies that they drive corporations out of the country. Cheaper foreign labor and transportation costs don’t offset paying Americans to do the jobs, but it more than offsets the confiscation of profits to put into Democrat’s pockets. The solution for Democrats is to give their friends tax loopholes and subsidies for their failing businesses, and then they import cheap labor and call it compassion for refugees. The icing on the cake for Democrats is now to import Moslems to convert Americans to Sharia law, hoping to eventually make them all servants to the theocrats of single party rule. Want to stop the terrorism? 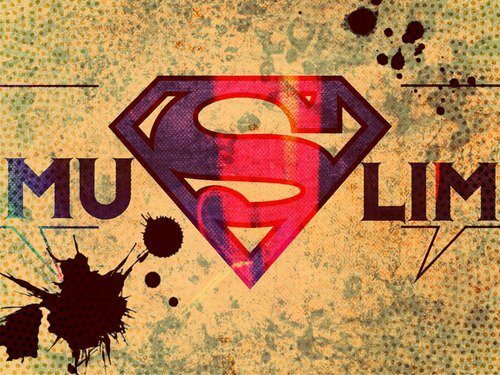 Submit to Islam! Then everyone will live under the ultimate socialist ideology where no one is special and all serve the elites. Heroes are human beings. They don’t always do what’s right, they are not always selfless, but they do choose to follow the right course. The term has been abused and twisted by leftists who call those who do wrong heroes. Barack Obama is a hero to the Left, to Islam, and to socialists. But the difference between a false hero is the same as that of a false prophet – you will know them by their fruits. 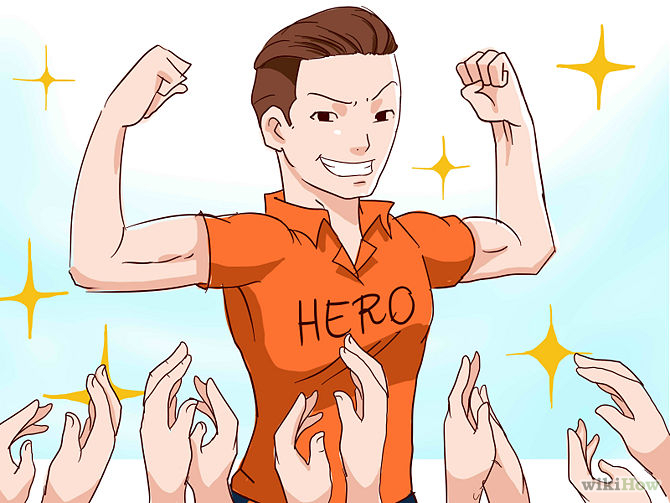 A hero who is self-sacrificing and saves others from those who would do them harm is not equivalent to those one who sacrifices others to do harm. Islamists will murder the innocent to cow them into submission and conquer them, while Americans save the innocent to enable them to live in liberty. To Islamists, those who die murdering others are the greatest martyrs who will be rewarded with their own whores in Paradise, while a Christian who dies saving others is the greatest martyr who will be rewarded with seeing the Face of God in Heaven. The Conqueror or the Savior. Who’s your hero? 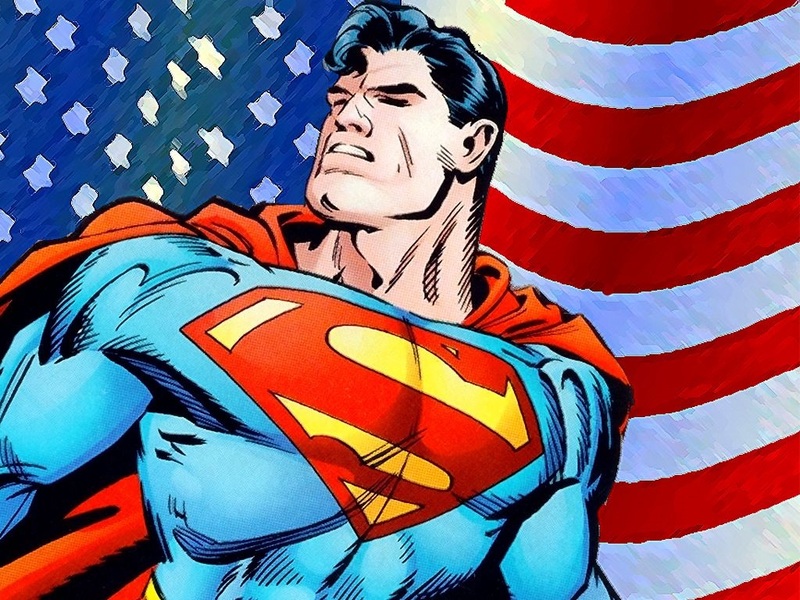 Superman – who fights for Truth, Justice, and the American Way, saving citizens from criminals, tyrants, and disasters. 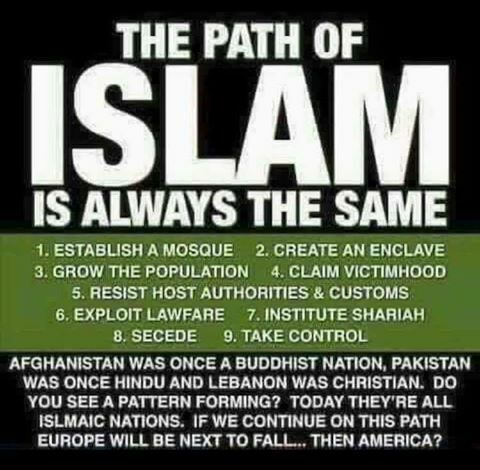 Shariaman – who fights for Islam to destroy the infidel, waging Jihad against non-Moslems to subjugate and force submission to Islam. This entry was posted in Fundamentals and tagged 2016 Presidential Campaign, America, American Dream, Barack Obama, Capitalism, Christianity, Democrats, Donald Trump, Elections 2016, Globalism, Hillary Clinton, Islam, Republicans, Socialism, Superman. Bookmark the permalink. Great job of laying out the facts Dusty.